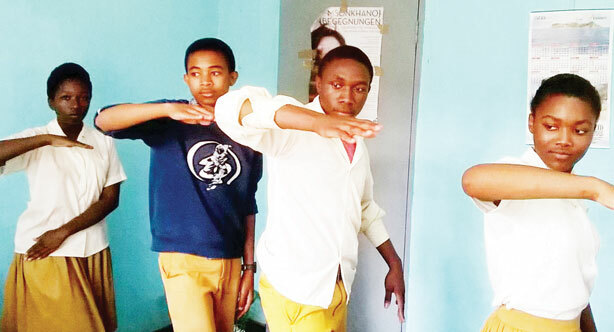 Two Chichiri Secondary School students Alice Malunga and Vincent Nawanga alongside Solomonic Peacocks Director McArthur Matukuta will leave for Poland this coming Friday where they are expected to perform at the Young Malta Festival Poznan 2015. According to a letter which The Daily Times has seen, Da Vinci Secondary School is the one who has invited the two students which will represent Chichiri Secondary School. The school has indicated that it will cover the costs of all groups consisting of five students and two teachers. The festival runs from June 8 through to June 12 in Poznan and is under the patronage of the International Festival of Performing Art, Malta Festival Poznan 2015. Asked why he was part of the trip, Matukuta said this project is under their theatre education programme. “I am going there as a drama expert. It was supposed to be two teachers and five students but due to financial challenges only two students are going and myself. It was the school (Chichiri) which agreed that I should represent,” said Matukuta. He added that Solomonic works on technical part in Aware and Fair Project and that this is why all these projects are being done by them. “In 2013 Chichiri Secondary School performed in Germany through the Aware and Fair Project and it is through this platform that this partnership with this Poland school was created,” said Matukuta. He said last year Chichiri Secondary School was supposed to go but they failed due to financial problems. He said Chichiri Secondary School is participating in this festival with a play titled The Man Next To You developed under Solomonic Peacocks Theatre Clinic and is directed by Matukuta. Matukuta said the play centres on the respect of each other regardless of gender, race, religion or creed and that it surrounds on current issues going around the world on how people are looking down upon each other. He said the production will see two people, 15 year old Alice and 16-year old Vincent who are both in form three playing different roles adding that the piece has a traditional musical component. “He said that this year there will be more participants – 60 students and 20 teachers from six different countries. The Young Malta Festival which is addressed to young people aged 13-18 was initiated in June 2014, as an integral part of the Malta Festival – a cultural event which has been running in Poznan for over 20 years. According to Headteacher of Da Vinci Schools Ewa Socha, in the first edition of the festival, eight theatre groups from Poland, Germany, Spain and Ukraine participated. “The main goal of the project is to create a real space where young people from both European and non- European countries, work together in multinational teams to enhance awareness of cultural diversity, help them fight against stereotypes and discrimination as well as promote tolerance,” said Socha. The organisers also say that the festival enables from participating schools to establish partnerships via the internet.